Bring your logo out of the dark! Missed out on this Item? Don't worry, you can shop alternate items below. 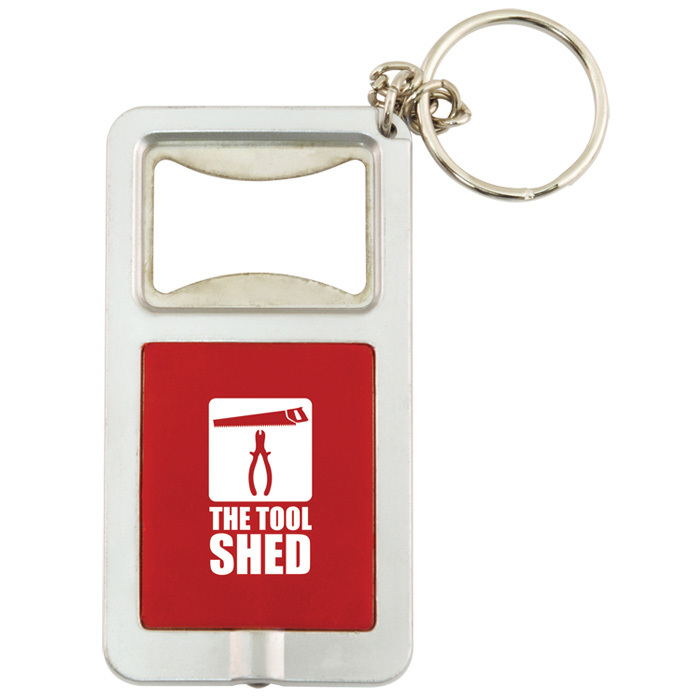 A small but handy tool to have, featuring a white LED key light and bottle opener. The light and bottle opener are encased in a rectangular silver body with colourful accents, which comes with a split ring key chain to the top so they can keep it close! A nifty giveaway for handing out at exhibitions or open days, or popping into goodie bags to hand out to customers! Price includes 1 colour print to one side of the keyring. Dimensions: 37 x 70 x 10mm. Print area: 20 x 25mm. Ready to ship in : 5 business days *. Visit 4imprint.ie or call toll free 1890 98 74 44 to order or for questions. It's on time or it's on us. If your event is missed because we didn't dispatch on time, your order is free (just let us know your deadline).